British saxophonist Alastair Penman is a dynamic and versatile performer and composer, presenting contemporary music in new and exciting ways. Having obtained masters’ degrees in both Information and Computer Engineering (University of Cambridge) and Saxophone Performance (Royal Northern College of Music), Alastair has a strong interest in the fusion of live saxophone performance with electronic effects, backings and enhancements to create often previously undiscovered sound-worlds. Although classically trained, Alastair enjoys exploring many musical worlds; his wide-ranging influences can be heard in both his compositions and performances, which often transcend genre definition. As a soloist, Alastair has given performances at venues including Milton Court Concert Hall, Trinity and St Catharine’s College Chapels (Cambridge), and the Concert Hall and Carole Nash Recital Room at the Royal Northern College of Music. He has also made numerous concerto appearances, including opening the 2012 Wycombe Arts Festival. Alastair has been a guest recitalist at both the Canterbury Christ Church University Saxophone Day and the RNCM Saxophone Day, presenting new works for saxophone and electronics. In an ensemble setting, Alastair has performed with the Philharmonia Chamber Orchestra, Ardente Opera, The Beethoven Ensemble, Ensemble BPM and Cambridge Touring Opera. He has also appeared with jazz groups at Montreux and London Jazz Festivals as well as at jazz clubs across Europe. Alastair is soprano saxophonist with the award-winning Borealis Saxophone Quartet, who released their debut album The North in 2014 and are Park Lane Group Young Artists. 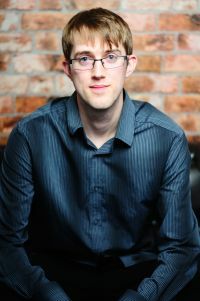 In an orchestral setting, Alastair has had the pleasure of working with conductors including Sir Roger Norrington, Dimitry Sitkovetsky, Baldur Bronnimann, David Hill and Stephen Cleobury, and in the jazz arena he has performed with Mike Gibbs, Clare Teal, Steve Waterman, Mark Nightingale, Gareth Lockrane, Julian Arguelles, Liane Carroll, Issie Barratt and John Helliwell. Alastair’s talents have been recognised with awards from the City Music Foundation, Countess of Munster Musical Trust, the RNCM (Fewkes and Harwood Scholarships) and St Catharine’s College, Cambridge. Alastair was also a finalist in the Yamaha Music Foundation of Europe Competition 2012 and the RNCM Gold Medal Competition 2013.